Corrosion occurs when a material deteriorates due to environmental factors. Corrosion is a natural process which occurs when three conditions are fulfilled. As a result of the process, metal is converted into one of its salts i.e. oxides/hydroxides/sulfides, depending on the material. The metal is chemically unstable and its salt is more stable. One of the most common forms of corrosion is rusting. When iron rusts, the reddish flaky substance that has formed as a result of the corrosive process is iron oxide. Corrosion affects metals in a number of ways. When metal structures corrode, their integrity is weakened and they become more prone to collapsing. Once corrosion starts, it can spread rapidly which makes it necessary to be vigilant and prevent it right when it starts. The following are common methods used for corrosion prevention. One simple corrosion prevention measure is using a metal resistant to corrosion. Aluminum and stainless steel are typical examples of such metals. A cost-effective corrosion prevention method is applying a layer of paint. Paint acts as a barrier between the metal and the elements preventing the flow of electrochemical charge that causes corrosion. Powder coatings are also cost-effective corrosion prevention solutions. A dry powder is used to coat the surface of the metal. Subsequently the metal is heated which causes the powder to fuse with the metal in an even and uniform coating. Different powder compositions that are used are polyester, nylon, urethane, epoxy and acrylic. Corrosion is the result of a chemical reaction between metal and certain gases present in the environment. If the presence of those gases can be controlled in the environment, then the occurrence of the reaction can be controlled. Simple measures in this regard are reducing exposure to rain or atmospheric moisture. Complex measures would be controlling the sulfur/oxygen/chlorine content of the environment. An example of a complex measure is treating water that is present in water boilers using softeners. Softeners remove the calcium and magnesium in water, which are highly reactive metals that increase the potential for corrosion to take place. Apart from that, softeners also help in managing the oxygen content and alkalinity of the water. Corrosion prevention can be achieved by coating the surface of the metal with another metal which has a comparatively higher or lower potential to oxidize. In anodic protection, the surface that needs to be protected is coated with a metal that is less reactive (e.g. tin). Using the given example, tin is far less susceptible to corrosion so the surface that it is being applied to will be safe as long as the coating is there. The reason for calling this anodic protection is that in this process, the metal surface that is to be protected becomes an anode. Anodic protection is used to protect storage tanks that are made of carbon steel which are being used for storing fifty percent caustic soda and sulphuric acid. Cathodic protection cannot be used in such an environment as the current requirements for it would be extremely high. Applying a layer of zinc on a surface of iron alloy steel is a common example of cathodic protection. This process is also called galvanizing. As zinc is more reactive than steel, it will corrode. It will oxidize as a result of which the corrosion of steel will be prevented. The reason for calling this cathodic protection is that in this process, the metal surface that is to be protected becomes a cathode. Cathodic protection is often used for protecting steel pipelines that carry fuel or water, ship hulls, water heater tanks, and offshore oil platforms. A passive measure of corrosion prevention is designing structures in a manner that inhibits corrosion and as a result, increases the longevity and durability of all anti-corrosion coatings. Ideally speaking, designs should be such that prevent trapping water and dust, facilitate the flow of air currents and avoid crevices. Lastly, the design should ensure that the structure in consideration is accessible for performing regular maintenance. Another method of corrosion prevention is the use of corrosion inhibitors. These are chemicals which react either with the metal surface or gases in the surrounding to “inhibit” the chemical reactions that cause corrosion. The inhibitors are used to coat the metal surface in a protective film. There are two forms in which the inhibitor chemicals may be applied. They can be mixed with a suitable solvent; the resultant solution is subsequently applied. Or, with the use of common dispersion techniques, they can be applied as a protective coat. The process by which corrosion inhibitors are applied is called passivation. In this process, a protective material (usually some kind of a metal oxide) is used to provide a layer over the metal surface. This layer is what barricades the surface against corrosion. Factors which affect the layer’s formation include the surrounding temperature, the pH of the surrounding environment and the chemical composition of the surrounding atmosphere. One of the additional benefits of this process is that a gradual patina is formed on the structure where this layer is applied. As a result the structure only grows more beautiful with the passage of time. This is something that can be seen on roofs that have copper tiles. Another example of the passivation process is the color of the Statue of Liberty. A patina, which is blue-green in color, has developed over the structure which acts as a barrier to corrosion for the copper underneath. Corrosion inhibitors are usually used in chemical production factories, petroleum refineries and water treatment factories. 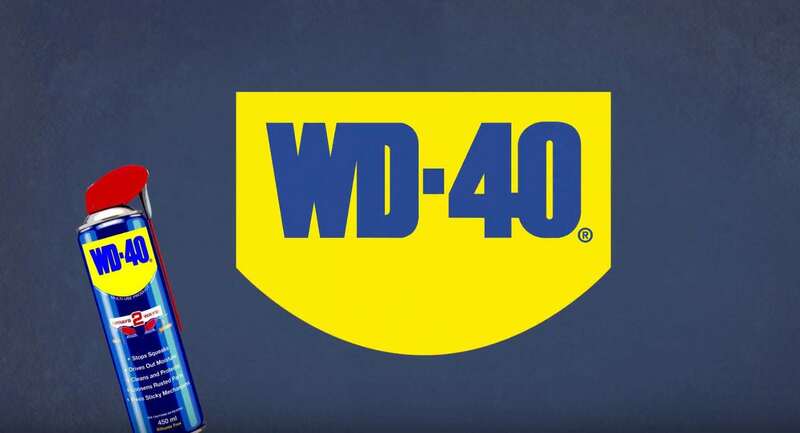 An immediate step that you can take is using the WD-40 Multi-Use-Product. The spray is capable of protecting metal parts for a period of time if exposed to the environment and possible longer the object is kept indoors. 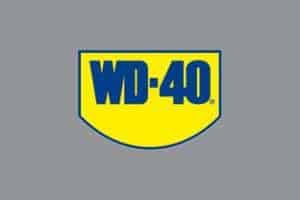 It is advised to reapply WD-40 regularly.